Editor's Note: In this report on streaming, we point out police are sometimes called to a streamer’s house after a hoax call. In some cases, SWAT teams arrive in response. A previous version of this story mistakenly identified a man killed by police in one such case as a streamer. In fact, the victim was not a streamer. We regret the error. As more people consume video online, "streaming" is the internet's version of live TV, but with instant feedback from fans. How have star streamers turned activities like taping themselves playing video games into profitable careers? Economics correspondent Paul Solman reports from DreamHack, a gaming convention in Austin, Texas. Our economics correspondent, Paul Solman, has been trying to figure out how the world of online and especially competitive video games, known as e-sports, are changing the media industry. Tonight, he brings you a look at the world of online video streaming. It's part of his weekly series, Making Sense. Hello, old mustached man. Hi. And with this pleasant, but sobering salutation, I was introduced to online streaming at DreamHack, a video gaming convention in Austin, Texas, where I got to experience a new profession now mesmerizing millions worldwide, for better and worse. Let's start with the bright side. An upbeat onliner whose nom de stream is AnnieFuchsia. She showed me the ropes. Look. Look at that one. Oh, he knows your name? Paul Solman is a legend. The tingle of a blatant buttering-up aside, what's not to like about communicating with hundreds, thousands, tens of thousands of people worldwide in a heartbeat? I think, for most people, they hear us after two to three seconds. Tell us who you are and how old you are. Yes. You can tell us, for example, what country you're from. Germany, Netherlands, Nigeria, Ireland, Norway, Scotland. Oh, my — really? It's amazing, and everybody just responds. In an age where more and more people consume video online, and especially more and more young people, streaming is the Internet's version of live TV, but with instant feedback. The streamers are the stars. They started becoming suspicious because they're like, what, you have traveled to the U.S. twice this year, and before this year you had never been to the U.S. because it was too expensive. And my dad got so concerned because I couldn't tell him why. So he's like, are you dealing with drugs? And he had a — like, he had a serious talk with me, like, sit down on the couch, let's talk about this. And that's when I told them. That — and they were dumbfounded? Well, he was confused still, but at least he wasn't worried, like, in a safety, legal way. Now she streams upwards of 10 hours a day to build audience, playing a variety of video games. Streaming superstar Dr. Disrespect, who focuses on battle royal games, puts in similar hours. Here at DreamHack in Austin, in a section devoted to streamers, fans lined up to get a glimpse of, and maybe even selfie with, Guy Beahm. The good doctor has 2.5 million followers on Twitch TV, the YouTube of video gaming. So what exactly is streaming? A continuous live video online feed to anyone who wants to log in and watch. Some streamers stream whatever they're doing, say, watching and commenting on the World Cup. But many play video games, most recently, threat hottest game in town, "Fortnite." Streaming viewership is surging. Last year, there were more than two million active streamers on Twitch each month. And all told, viewers spent nearly six billion hours tuning in. Amazon purchased Twitch for almost a billion dollars back in 2014. And virtually every social media platform, Facebook, YouTube, Instagram, now offers streaming services. After my very first stream, I'm like, wow, this can be a career. Right away. Yes, I was like, this is big. Why is nobody treating this like a business yet? That was way back in 2013. Now 26, Kristen Valnicek streams under the name KittyPlays. Valnicek dropped out of college, and skipped a law career to grow a fan base that now tops 850,000, making her one of the 100 streamers on Twitch. It's kind of a learned art. As you practice and as you get into it, you can become really talented at playing, shooting — mid-kill, you can look up and see your chat and respond, oh, hey, Greg, good to see you again, or something like that. Like many pro streamers, Valnicek makes her living online, a very good one, up there with the streamers earning six-figure incomes. But — and you have surely been wondering this since we began — how? So the foundation, I think, for Twitch streamers is from donations and subscriptions, and then like some sprinkling of ad revenue and sponsorships as well. Let's break that down: Subscribers are fans who pay a monthly fee, $5 to $25, and in return get some perks, like special emojis they can use in chats. Last month, Valnicek made nearly $6,500 from her subscribers, a cut going to the streaming company Twitch. Then there are donations. That's the bulk of her income, which can come thousands of dollars at a time. And Valnicek is not alone. YouTube is full of videos of other streamers receiving donations of $10,000, even $20,000 at a pop. In exchange, streamers give shout-outs, acknowledging donors by name. I want them to feel appreciated and know how excited I am that, like, they want like my content enough and want to support it. Do you pay attention more to people who donate more? Meaning sometimes. But what prompts the donations? Every now and then, I will just stop by and drop money, because I feel like she deserves it. She deserves every bit she gets. King Osie'el donates to a number of streamers, including KittyPlays. No, it's not an obligation. It's just that I love her as a streamer. And I do it because I love her as a streamer. And what do you get out of it? Just seeing her happy. She makes us happy all the time, so I think that it was my turn to be like, here's something to make you happy. It's like it's no different than paying to see a comedian or so — I, guess, more accurately, someone playing guitar on the street. Jacob Wiedower, another streaming devotee who also has a channel on Twitch. They're obviously trying to make a living doing what they love. And so you want to help them out. And you definitely want to see them succeed in what they're doing. OK, so far, so good, if also so inscrutable to many my age. But we began by also promising the bad, the dark side of streaming, harassment toward female streamers, for example, like Kristen Valnicek. They come in and they're like, you're trash at the game. What are you doing on this Web site? Dah, dah, dah, dah, dah. That is, what are women doing playing a man's, or boy's, game? Streamer AnnieFuchsia said she too has been harassed, after people found her home address online, and asked that we not use her real name. Then there's swatting, where a viewer calls to the police to falsely report a serious incident at someone's home. Streamers have often been targets. Heavily armed SWAT teams sometimes arrive. Of course, the Internet is also famous for instances of racism and sexual harassment. KittyPlays' site has built a community of good will, good vibes. … neo-Nazis and now feel empowered because they're not alone? Yes. Oh, 100 percent. And I don't think it is dangerous for the mindful, but I think it can be if you're not told or are aware that this is even a process that's happening. Still, Valnicek has no plans of unplugging, especially because, as a woman whose forte is "Fortnite," she's something of a pioneer in a world long dominated by young men. So, yes, streaming has its dark side, but, look, many streamers are a lot more like the Roger Federer of "Fortnite," Ninja, with nine million followers, KittyPlays, or our friend AnnieFuchsia. They all play video games all day, every day, for fun and profit. 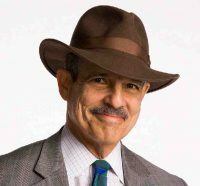 For the "PBS NewsHour," this is economics correspondent Paul Solman, reporting from Austin, Texas, and cyberspace. And one postscript to Paul's report. ESPN and Disney have just signed a deal for live TV coverage — yes, actual TV — of an e-sports league. It's the first time that that type of gaming will be shown live in prime time, starting later this month. Did Trump’s prodding for NATO defense spending work?